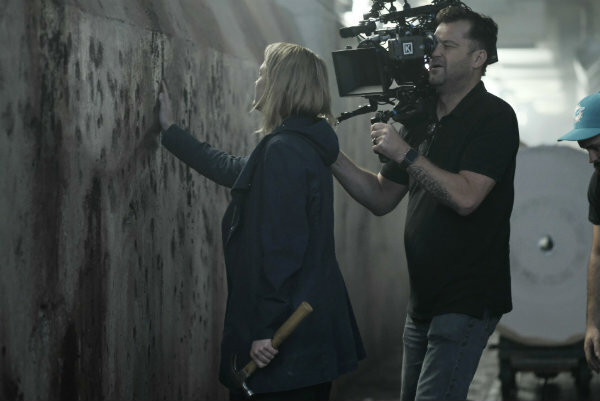 Colin Watkinson Discusses The Emotional Cinematography of "The Handmaid's Tale"
Colin Watkinson’s work on The Handmaid’s Tale (Hulu) won him the Emmy in the Outstanding Cinematography for a Single-Camera Series Emmy (One Hour) category in 2017 and has gotten him nominated again this year. The deserted, dilapidated yet still recognizable Fenway Park was the site of an emotional scene. The handmaids are taken to the abandoned field where there are scaffolds from which hang nooses. A noose is put on the neck of individual handmaids and the nearby lever is pulled. But the drop is only minor, and the handmaids survive. It was a scare tactic engineered by Aunt Lydia in order to teach them a lesson they would never forget. Watkinson has also carried on with the deployment of Canon K35 lenses in tandem with the Alexa Minis. “They are proper cinema lenses, not quite as hard as modern lenses--not soft in focus but soft in texture,” he assessed. As evidence of that striving for excellence, Watkinson’s Emmy nomination is one of 20 earned by the series this year. As for what’s next, Watkinson recently wrapped a pilot for Apple starring Octavia Spencer. And he’s looking forward to season three of The Handmaid’s Tale. This is the 12th installment in a 15-part series that explores the field of Emmy contenders, and then nominees spanning such disciplines as directing, cinematography, producing, editing, music, production design and visual effects. The series will then be followed up by coverage of the Creative Arts Emmys ceremonies on September 8 and 9, and the primetime Emmy Awards live telecast on September 17.